The Burcina Park “Felice Piacenza” Nature Reserve is a protected, wooded, about 57 hectares wide area. 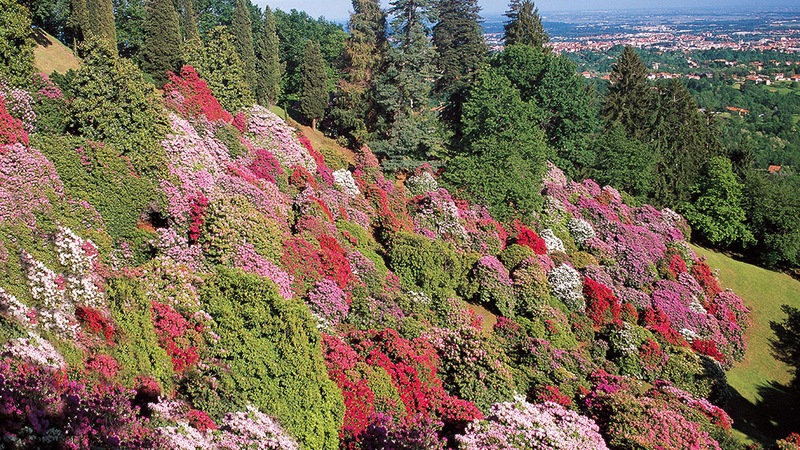 It was established in 1980 with a law of the Piedmont Region Government. It is located within the municipalities of Pollone and Biella. The Municipality of Biella owns almost three quarters of the whole surface. The difference in altitude varies from 570 to 829 meters above sea level. The reserve is situated on the Burcina hill, or bric (as locally called). It protects the natural, environmental and landscape characteristics of the area. More specifically, it supports and promotes scientific, cultural and educational activities, also involving schools. From the Burcina Park you can enjoy a wide panorama from the morainic hill of Serra (Ivrea) to the plain of the Canavese area (Turin) until the rice paddies of the Vercellese territory. The park has three foot entrances situated in the lower, middle and higher parts. 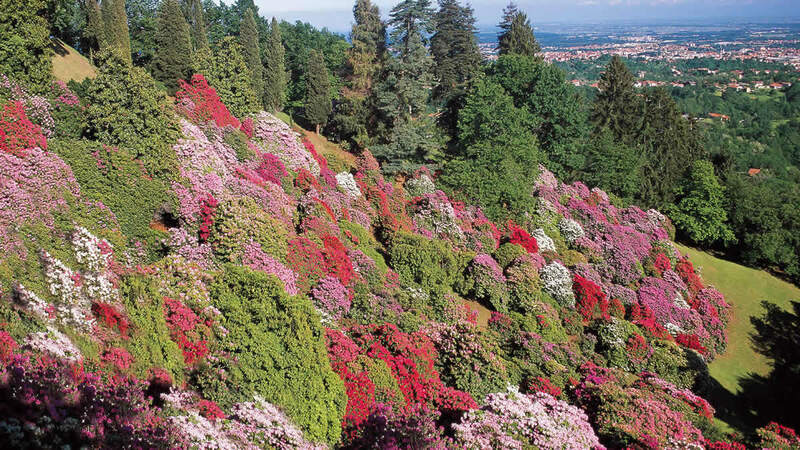 It is known worldwide for its extraordinary valley of rhododendrons, covering two of the fifty-seven hectares of the park, that in the middle of May offers a unique floral display.